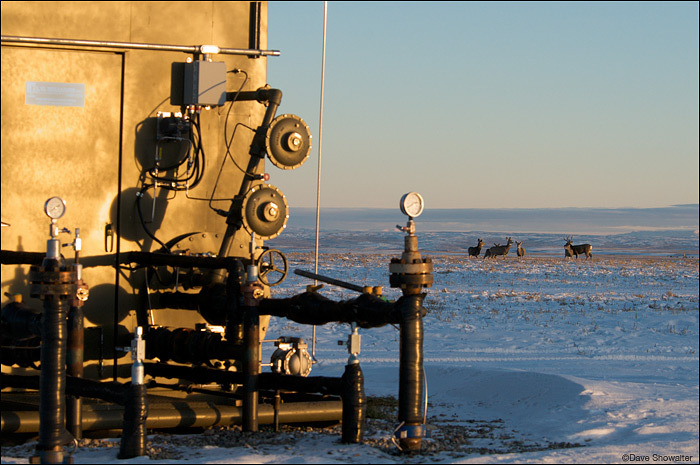 A mule deer herd contrasts with industrial natural gas equipment on Pinedale Mesa. The Pinedale Mesa mule deer herd uses the Mesa for crucial winter range to survive the harsh winter. The herd has suffered a 60% population decline since 2001, 30% in the last year when winter drilling started.